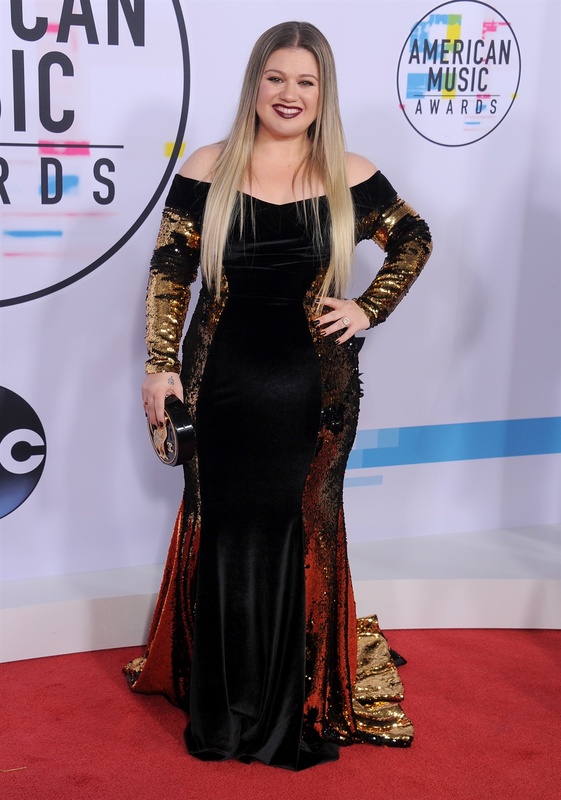 Some stars literally shined while others made an impression in all-black. 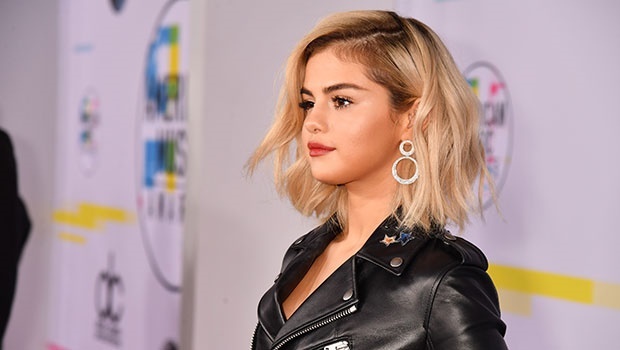 Selena debuted a new blonde 'do with biker-girl sass in a leather mini-dress, inspired by Coach. Tracee Ellis Ross, it's official: you're our sequin-Queen. We love this chic updated version of the classic black suit - the bralette adds some edge to the look. Top-to-toe gorgeous in Monique Lhullier. Ciara kept it simple in a little black dress by Alexandre Vauthier and knee-high boots. Ashlee decided to go the glimmering route, too, and looked chic in this ombré-sequin dress. Kelly in a custom off-the-shoulder Christian Siriano gown paired with the oxblood lippie. BOOM. Golden goddess. Pretty, peach Prada dresses for the win! 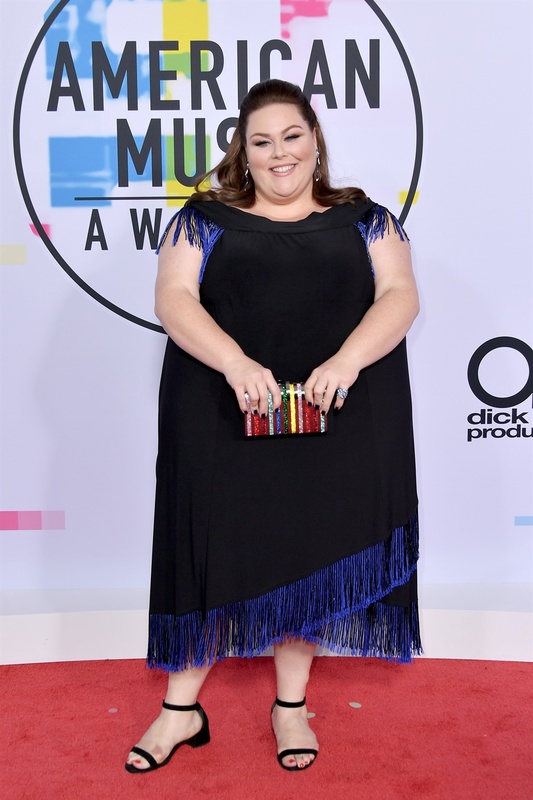 Black seemed to be a huge trend on the carpet this year, and we love the blue fringe on Chrissy's dress, not forgetting that adorable clutch oozing pops of colour. Saving the best for last, let's take a second to drool over this young fashionista rockin' it in Prada and embellished shorts.